New York Painting Services is a fully licensed and insured contracting company, offering a variety of services to commercial businesses and residential homes through New York, Brooklyn, Yonkers, and Tarrytown since 2004. Our talented professionals have been masterfully trained in the industry. 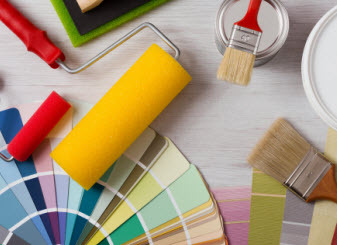 Combined with exclusive professional grade equipment, tools, products and supplies; New York Painting Services delivers premium results in all services rendered. New York Painting Services takes advantage of exclusive professional graded material, products, equipment and tools to enhance the skills of our experienced specialists. Among the many services we offer to both commercial businesses and residential homes are drywall installation/replacement and repairs. New York Painting Services is the leading experts in contracting services, and with the many circumstances that can inflict your home or business; drywall repair and installation is often needed. Water or moisture damage, fire or smoke damage, remodeling, wallpaper removal or accidental impact causing drywall damage are a few examples of needing your drywall repaired or newly installed. Drywall/sheetrock installations in your commercial building or residential home in New Jersey or New York takes experienced craftsmanship for achieve pristine and meticulous finished results. 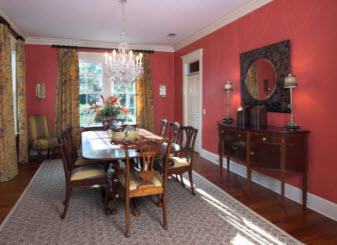 New York Painting Services contractors replaces the necessary drywall to ensure superb services. We can apply general textures or custom textures to create the style you desire. 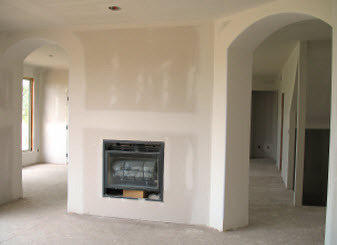 From framing and finishing, your drywall installation is executed in a professional and exceptional manner. When it comes to drywall repairs, it is typically due to small sections needing removal, or perhaps it has taken minimal impact and contained areas need repair. No matter the factors, New York Painting Services can repair your drywall and blend the texture in accordingly. With our professionals, detection of any repairs is minimal and the finished services are impeccable. Drywall blemishes, cracks, punctures and holes are all easily repaired with New York Painting Services’s drywall repair services. •	Damaged ceilings: Some of the common aftermath effects of heavy rainfall are damaged ceilings. When the damaged area needs repair, New York Painting Services professionals sand the tarnished areas away until it smoothed. It is followed a further treatments of a primer and repaired accordingly to texture and painting. •	Nails extraction: The ceiling joists and wall studs are fixed in conjunction with the drywall nails. When these nails pop or extract on their way, a number of circumstances could be contributing, but the more common reason is wood shrinkage. The original nails are removed by a Curragh professional, and then repaired according to protocol. •	Small holes in drywall. Small holes are fairly common in any home or business. New York Painting Services repairs any holes to the upmost efficiency and blends in the repair with the current texture and paint. •	Joint tape has become loose. It will look like peeling from the drywall, and can be caused for a variety of reasons. New York Painting Services repairs the joint tape and ensures a pristine appearance. No matter if your drywall is in need of repair or replacement in your New York or New Jersey home or business, New York Painting Services can perform any repairs or installations with premium results. Call us today to get started!